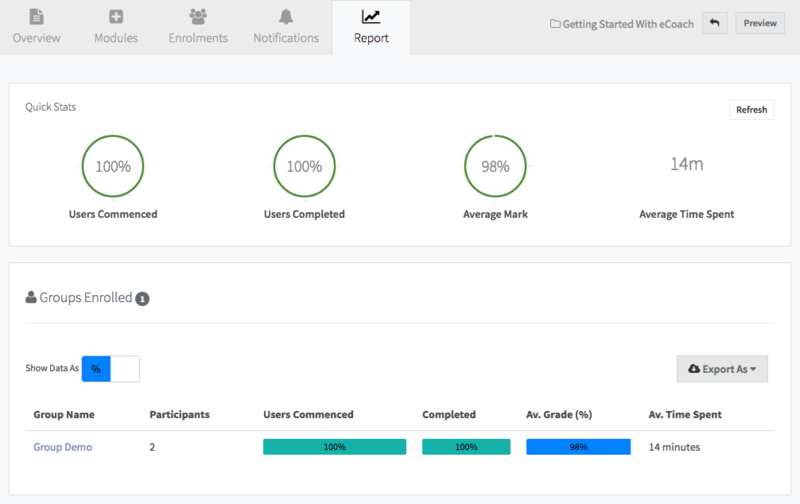 What is the Course Report and how do I find it? There are two ways to get to the Course Report. The first way to get there is to click on the Analyse button on your Dashboard. Alternatively, you can access the Course Report from within the edit view of your course. 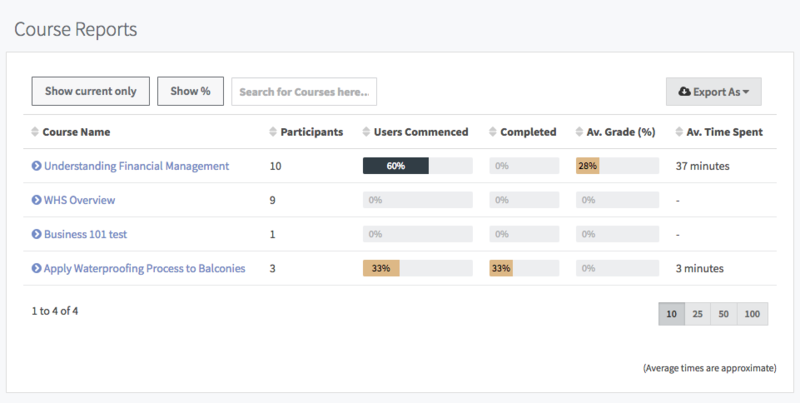 The Course Reports screen allows you to see a breakdown of all the Courses on your LMS, with statistics for how many participants each Course has, the number of commenced and completed users, and the average grade and time spent for each Course. Click on a specific Course to drill into the same statistics for its individual modules. 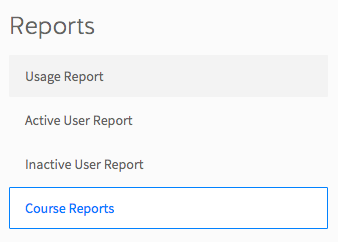 At the top of the Course Reports screen, you choose to only show current Courses, toggle your data view between hard numbers and percentages, search for specific Courses, or export the report.